Makeup Trends: The sea in your eyes! For the summer, the makeup is full of contrasts, colors: pink, blue, green, violet and change your tone is turned off while maintaining your appearance more sweet and romantic. Extra pink lips, super compact shades and very marked cheeks. 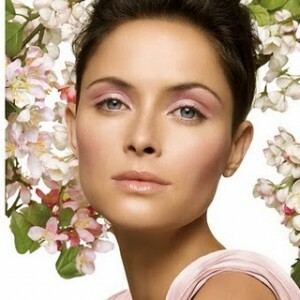 It is the keys to achieve this childlike appearance, babydoll that the summer makeup in pastries tones offers us.